Grew Up… apart from human society. Constantly chased by torch-toting mobs and angry farmers, Shrek learned to scare people away first with his ogre-ish demeanor and booming growl so they wouldn’t come close enough to hurt him – physically or emotionally. Living… alone in a swamp, deep in a mystical forest. Shrek basks in his daily habits and rituals, including bathing in mud, eating grubs, and ear-wax-candle-lit dinners. He loves seclusion, and when humans come to bother him, he quickly fizzles their posse with a classic ogre threat – though Shrek is not one to actually act on his ferocity. Shrek simply puts on the front of mean, green eating machine so he’ll be left alone, while in fact being rather peaceful despite his size and appearance. “Ogres are like onions,” says Shrek. “Onion haves layers. Ogres have layers. You get it? We both have layers.” We got it, Shrek. Visiting… Duloc, a kingdom ruled by Lord Farquaad. It resembles a theme park, but Shrek isn’t here to have fun. He came – with his trusty yet insufferable companion Donkey – because Lord Farquaad had dumped tons of fairy tale creatures in Shrek’s swamp. Shrek was outraged, his peace and quiet stolen by a bunch of annoying (to him, anyway) magical beings. Lord Farquaad will pay dearly. Interests… spending time alone, routines, and the simple life. 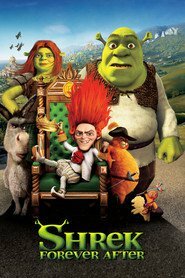 Shrek’s lonely life is called into question when Donkey shows up and won’t shut up, forcing Shrek to engage in social conversation – which Shrek claims to hate. Relationship Status… single. He’s not looking for love. 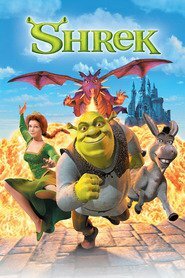 But when Lord Farquaad challenges him to rescue a beautiful princess from a dragon’s lair, Shrek is all ears, because the reward is that Lord Farquaad will remove the fairy tale creatures from Shrek’s swamp. Plus, Shrek gets to save a beautiful princess – that’s not so bad either. Challenge… regaining his solitude. Shrek is fighting for the quiet life he had before all of this happened. But after the quest is complete, Shrek may not still want the same thing. Donkey and, later, Princess Fiona may cause Shrek to change his life forever. Personality… clever, self-sufficient, disgusting, and proud of it. 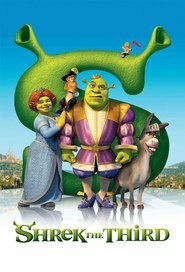 Shrek also has a strong sense of right and wrong, and although he usually puts himself before anyone else, he repeatedly saves Donkey and comes to his aid. Shrek likes to bluster that he only cares about himself and his beloved peace and quiet, but this ogre has a heart as big as his swamp. Shrek's popularity ranking on CharacTour is #64 out of 5,000+ characters. See our top-ranked characters and read their profiles.